The 2019 Annual Summit aims to build a more robust and inclusive school-to-workforce pipeline by breaking down barriers between the education, policy, and private sectors. Together we will work towards creating a strong vision for education that equips students from diverse backgrounds and strengthens the pipeline for STEAM careers. In education, there is often a lack of conversations, collaboration, and coordinated action between key stakeholders: educators, politicians, innovators, and corporations. The 2019 Summit aims to bridge this gap. Together we will work towards creating a strong vision for education that has diverse groups of vested parties discussing problems, innovating ideas, and implementing solutions to strengthen the pipeline. 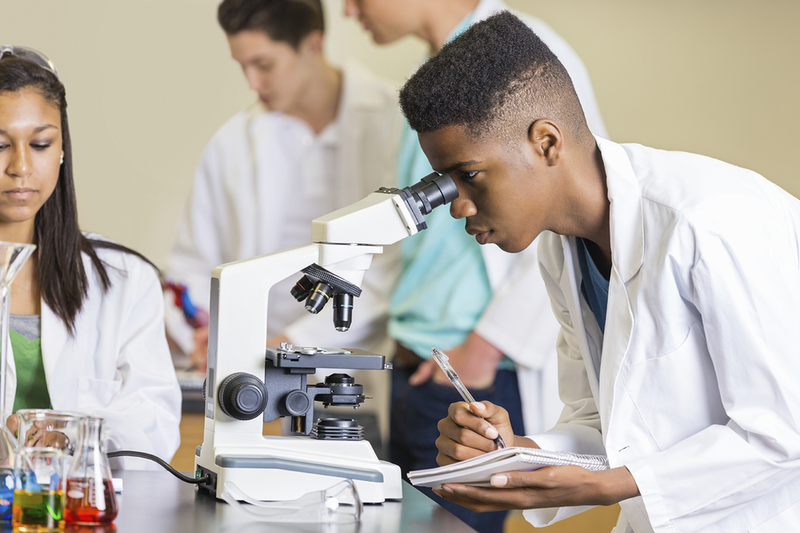 Every career will be related to science, technology, engineering, the arts, or math in the future, so it is essential that we consider both jobs that currently exist and those that are up and coming. Join us for this invaluable professional development opportunity! Ms. Amina J. Mohammed is the Deputy Secretary General of the United Nations, in her work she supports the well-being of people across the world, with a focus on sustainable development, poverty reduction, and the empowerment of the world’s women and girls. She had previously served as Special Adviser to Secretary-General Ban Ki-moon on Post-2015 Development Planning, where she was instrumental in bringing about the 2030 Agenda for Sustainable Development, including the Sustainable Development Goals. Susan Reid, Managing Director, is Global Head of Diversity and Inclusion for Morgan Stanley. Susan is responsible for Firm-wide diversity and inclusion efforts that drive the hiring, retention, development and advancement of a diverse group of employees. Dr. Ibrahim is a National Institutes of Health-funded clinician-investigator whose research focuses on unequal healthcare access and quality among minority and other underserved communities. He is the senior associate dean for diversity and inclusion at Weill Cornell Medicine, leading efforts to unify diversity initiatives and foster a stronger culture of equity and belonging throughout the institution. In addition, he is focusing on how technology and care innovations can be leveraged to advance not only healthcare efficiency and quality, but also equity. Kory serves as senior member at one of the most highly selective law school admissions programs in the country, with a specific focus on increasing diversity and enhancing inclusion. He is responsible for data-driven, targeted outreach to underrepresented minority prospects, students of color, and various multicultural, ethnic, and identity groups. In addition, Kory, fosters, maintains, and enhances relationships with these affinity groups. Essence is responsible for delivering holistic strategy for Campus to Career Programs for Viacom. This includes intern recruitment (prescreens, interviews and placements), programmatic elements and retention for business segments across NYC HQ for Viacom including, but not limited to: Engineering, Data Strategy, Research, Product, Law and Ad Sales. In addition, Essence manages recruitment process for Post Grad Business & Legal Affairs (JD) Rotational Program including placements and programmatic elements. As Senior Program Manager of Outreach and Partnerships, Mr. Royal oversees outreach initiatives and partnerships for the Young Scholars Program, College Scholarship Program, and Undergraduate Transfer Scholarship. He also develops and manages special partnerships. Amy Cislak is the Principal of University High School, the number one ranked public high school in Arizona and a nationally celebrated high school. She has grown the school’s enrollment to 1,200 students, doubled Latino and African American enrollment and a 100% graduation rate with over $34 million in scholarship awards. Amy was named the Arizona Educator Trailblazer of the Year by the Arizona Chamber of Commerce for her efforts at University High School and was also named one of Southern Arizona’s 40 under 40 by the Hispanic Chamber of Commerce. Wendy Garcia is the Chief Diversity Officer in the Office of New York City Comptroller. In her current position, she is responsible for helping increase contracting opportunities for Women and Minority-owned Business Enterprises in New York City, implementing corporate board diversity initiatives, and helping to lead an Advisory Council on Economic Growth through Diversity and Inclusion, a group comprised of national, local, corporate, and government experts seeking to increase supplier diversity through transparency, accountability and disclosure in the public and private sectors. As President of the Metropolitan Black Bar Association of New York City, Jason Clark has made social and criminal justice reform a priority. He has organized programs aimed at 1) reducing the number of deaths of unarmed civilians by law enforcement 2) protecting the rights of immigrants and 3) reforming New York’s bail system. In addition, Jason is an assistant attorney general in the New York State Attorney General’s Harlem Regional Office. Darlene Slaughter is the Chief People Officer for the March of Dimes, the leading nonprofit fighting for the health of moms and babies. In her role, she is responsible for leading all Human Resources functions and implementing strategies that support the organization’s overall business objectives. 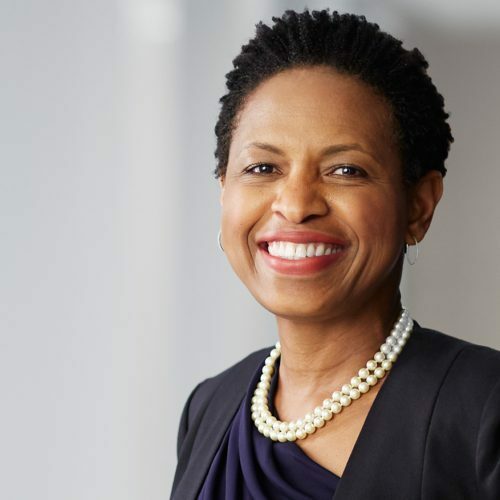 Prior to March of Dimes, Slaughter was Vice President and Chief Diversity Officer at United Way Worldwide, the world’s largest privately-funded nonprofit, where she worked with local United Ways and communities to advance D&I initiatives. Jae Gardner is the Founder of Ivy Key, a New York City-based education company that offers top quality tutoring, test prep, and admissions consulting to over 150 schools. Jae is also a regular education correspondent for ABC News, an active angel investor and a leadership member of the Harvard Alumni Association. At Fried Frank, she works closely with the Employee Resource Groups, fosters integration throughout the Firm, provides professional skills training to diverse attorneys, and partners with outside organizations. Ms. Olvera-Marshall is also an NYU-certified Executive Coach specializing in career, leadership, diversity, and cross-cultural topics. She is a frequent speaker on networking and leadership topics throughout various organizations in New York City. Colin created thinkLaw to give all students access to the type of game-changing critical thinking education they need to not only fully understand the way the world is, but to question it and imagine the way the world ought to be. Clayton Banks is the Co-Founder and CEO of Silicon Harlem. The mission of Silicon Harlem is to transform Harlem and other urban markets into Innovation and Technology Hubs. Under his leadership, Silicon Harlem has been able to partner with the Department of Education for New York City to establish an after school STEM based startup accelerator, collaborate with the NYC Mayor’s office to assess wireless broadband in upper Manhattan and coordinate a virtual startup incubator for tech based entrepreneurs. Prashanthi is a medical communications professional with 10 years of experience providing scientific and clinical expertise in the areas of Oncology, Rheumatology and Cardiovascular science currently serving as Medical Director at Greyhealth Group. In addition, she is the president for the association for women in science, with responsibilities for organizing career and networking events.